Two Weekends Ago: Nailed It – Right on all three days and cold. Last weekend I forgot to write up the forecast. Just got busy with Thanksgiving and everything. I got out for a good session on the Wednesday before Thanksgiving. Then there was some more wind out of the NW on Friday. 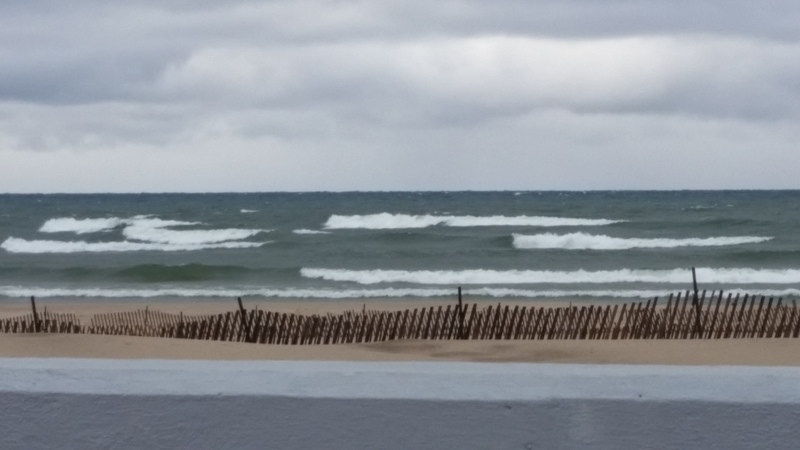 I snapped some pictures of the waves in Manistee that day. They are below. Today: It is going to be a light wind out of the SW for the majority of the lakeshore all day. However, late afternoon up around the Frankfort to Pt Betsie area, there will be 15 to 20 knots, so kiting could be a possibility there. Saturday: Little better wind out of the SW for the entire lakeshore. However, it still might not be enough for the southern half of the lakeshore. It looks like the points should be windy enough under sunny skies. 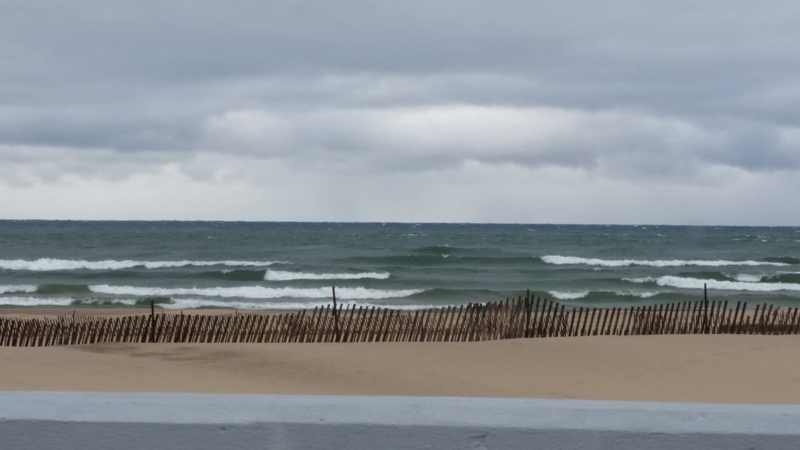 Little sable around 15 to 20 and then the Ludington state park area, Manistee and then up to Pt Betsie where it will be the windiest at 20 to 25 knots. Right now from Holland to Muskegon it doesn’t look like it will get to be much more than 10 to 15 knots. Could go out with a light wind setup. Sunday: Light winds out of the SW and decreasing even further over the course of the day. 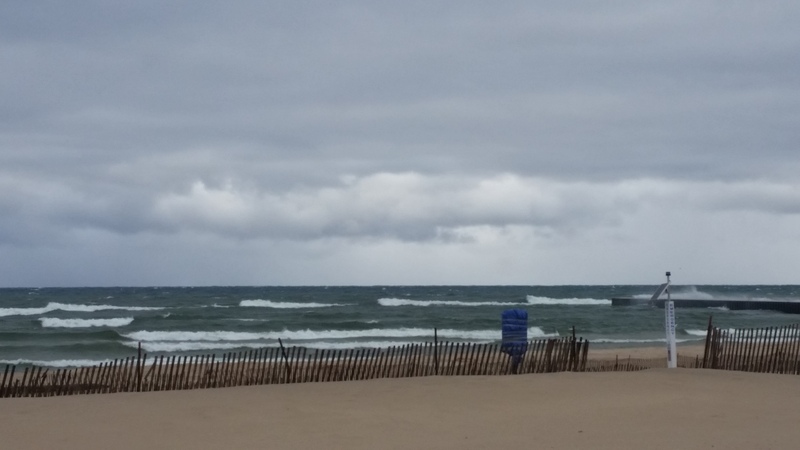 The wind was due North in Manistee last Friday after Thanksgiving and that is a real good setup for waves at First St beach. I was kicking myself that I didn’t have my gear with me, even though I didn’t have much time and it was pretty cold. I did take some pictures though.